Bert's followup visit ~ Fun Food Life! 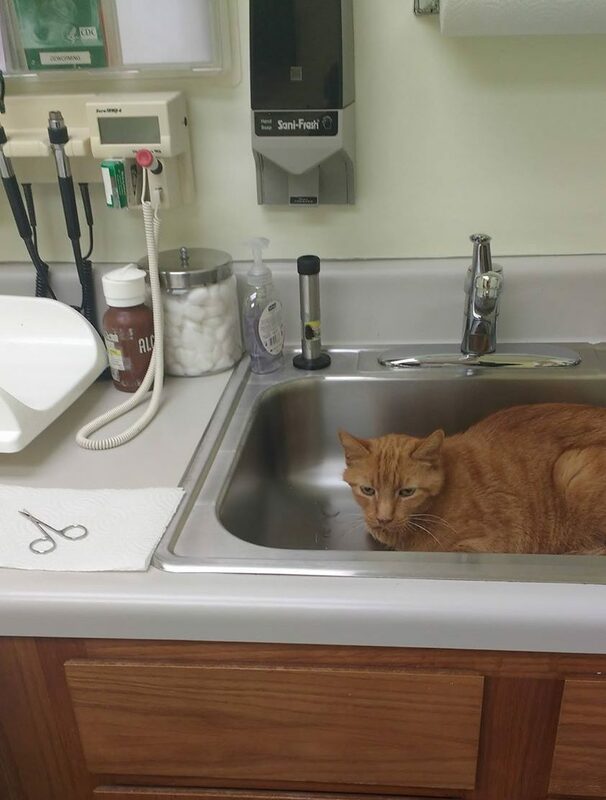 We paid a visit to the vet’s office this morning for a follow-up to Bert’s jaw surgery. I had hoped to have the stitches removed, but decided to leave them in for a while longer to allow the front of his jaw to heal more. Bert has lost 3 pounds over the last 10 days since surgery. He is still struggling to eat & drink on his own, so I’ve been syringe feeding him. I got a good look at his mouth and tongue and it is clear that his tongue is in great shape. The vet believes Bert should be able to lick & lap food & water into his mouth, but Bert is accustomed to having the support of his front lower jaw that is no longer there to help him. It looks like I’ll have to continue using the syringe to water and feed him for the foreseeable future.